Ghassan Salameh, a member of the Board of Directors of the Bethlehem University Foundation is undertaking a unique campaign to raise awareness–and funds–on behalf of the educational efforts of Bethlehem University and the inspiring commitment to learning by its students and faculty. For more information, visit TheWayToBethlehem.org. 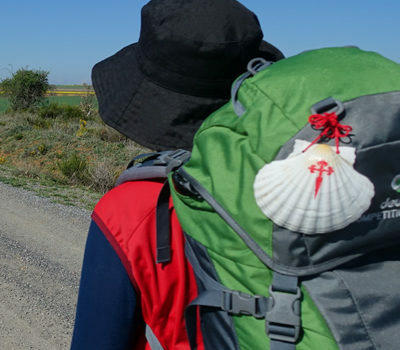 If you are interested in walking the final 100 km’s of the Camino with Ghassan, June 19 – 28, 2018, click here for a tour brochure.